"Somewhere in the heart of the steaming jungle lies the answer to the whispered tales - rumors of a magnificent city and foul, horrid rituals! Here a brave party might find riches and wonders - or death! Is your party brave enough to face the terrors of the unknown and find - the Forbidden City!" In the southeast corner of the Flanaess, lies an ancient, ruined city or at least that's the general notion. Let's go under the premise that in fact Dave Cook's l1 Dwellers Of The Forbidden City could be used to extend & expand X1 The Isle of Dread. Dwellers is a a sandbox / open game adventure where you as the dungeon don't feel shoehorned into the usual D&D corners. Couple this module with Goodman Games X1 Isle of Dread & the campaign world begins to feel a bit like 1931 King Kong's Skull film; a world alien & truly removed from the normal flow of humanity. Yesterday I wrote about Elemental Plane of Water & the Sea of Worlds getting the PC's into the deep end of trouble. Why!? 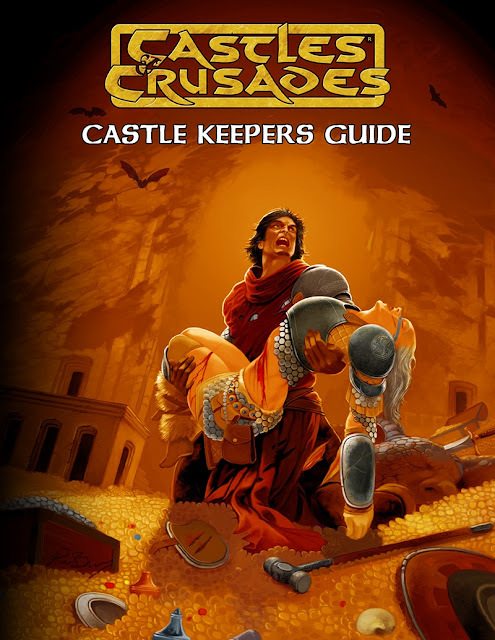 Because in this l1 Dwellers In The Forbidden City does something unique, it sets up a fallen empire waiting to have its history & backstory exploited for the players by the DM. The factions of the module become the focus for a once great fallen empire. The perfect adventure canvas for the DM to pain the serpent men empire. 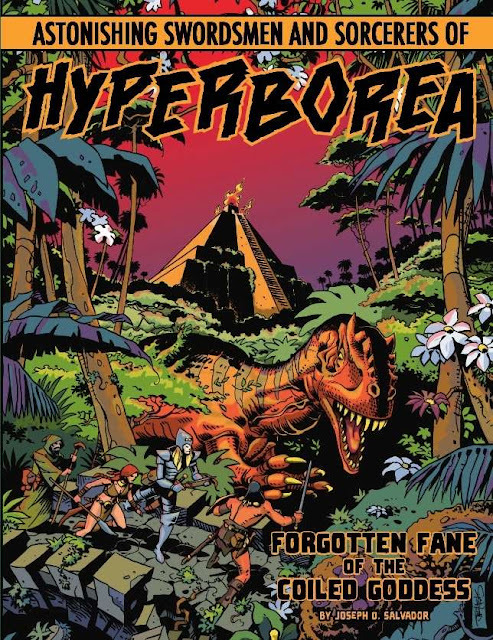 Astonishing Swordsmen & Sorcerers of Hyperborea's The Forgotten Fane of The Coiled Goddess adventure as a mini mega Swords & Sorcery campaign. 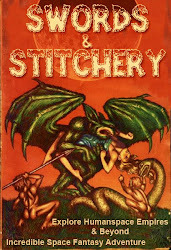 This makes it ripe to couple this campaign with Clark Ashton Smith's Zothique. The gods & empire have fallen in the thousands years since the sun has become red & raw with age. And dead gods drink the brine. He sips an amaranth wine. All of this sets up Zothique & Dwellers as the perfect Sword & Sorcery blend for exploitation by a mixed group of Pulp style adventurers. Troll Lord Games Castles & Crusade can be used with this heady mix. X1 Isle of Dread is an isle of castaways filled to the brim with pirates, dinosaurs, & horrors undreamt of. 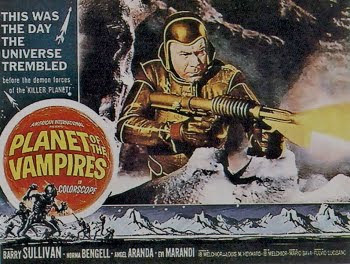 But its also a place ripe with possibilities for a group of players to use their own PC's to meet on terms outside the bounds of a normal Dungeons & Dragons game..Exploiting the possibilities for having Pulp heroes fighting side by side with their fantasy counterparts from the player's favorite setting is very exciting for some groups of players. 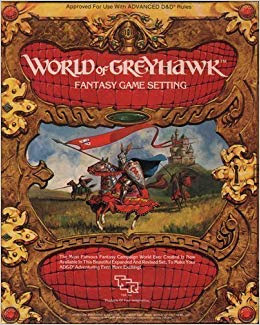 Its the perfect opportunity to have classic Greyhawk characters fighting shoulder to shoulder with Pulp adventurers. 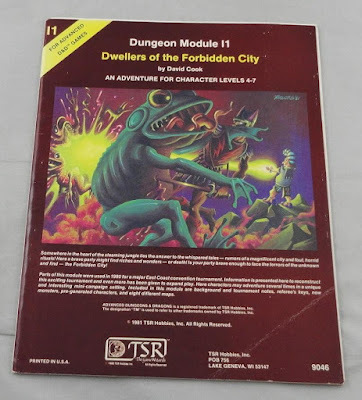 Next time we dive deeper into the Pulp side of things to get the player's ready for what or who might be waiting to exploit the PC's in such a heady campaign mix. So stay tuned for more madness coming up.